We may assume that the formation of the fourth wave continues. 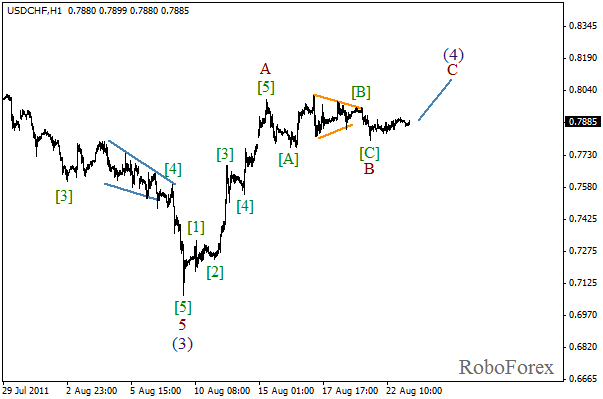 The wave is taking the form of zigzag pattern with wave C being formed inside it. The price may reach a new maximum and establish a new record during the day. After that we can expect the descending trend to continue. 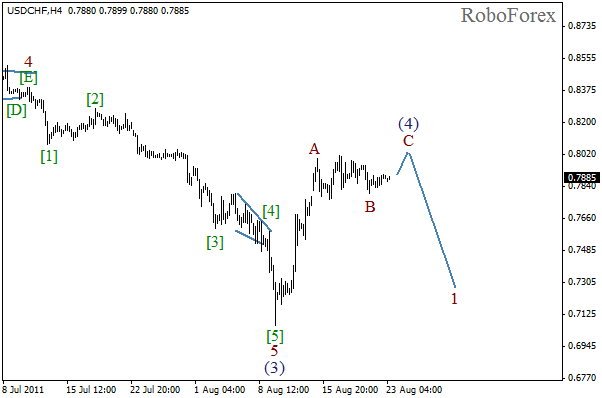 Looking at the H1 chart we may assume that an initial bullish impulse is being formed in wave C. The price may continue growing on Tuesday, but then, it will be the time for bears to enter the market. 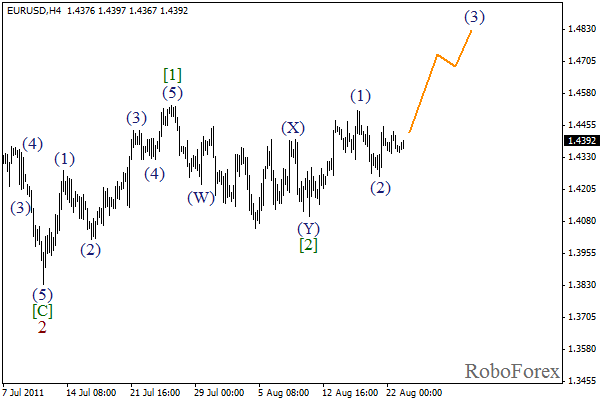 Yesterday the EUR/USD currency pair tried to start growing in wave (3). Right now this movement is just a small starting wave of the future “rally” phase. The target for bulls is still the level of 1.5000. If the market isn’t able to reach this target in wave (3), most likely wave (5) will test it a bit later. We may assume that the second wave in wave (3) has been completed. The price may start growing in wave 3 during the day. 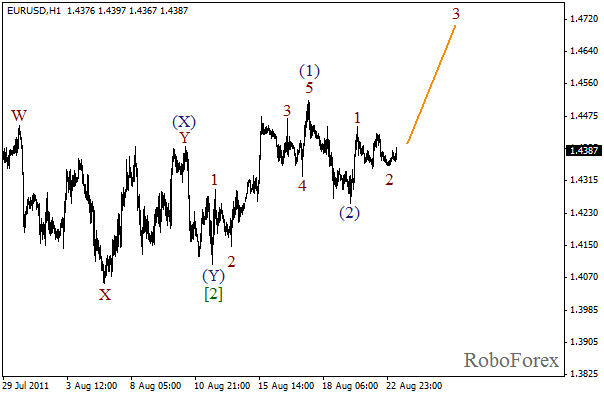 Most likely, the level of 1.4700 will be reached in wave 3. After that we can expect the correction to start.